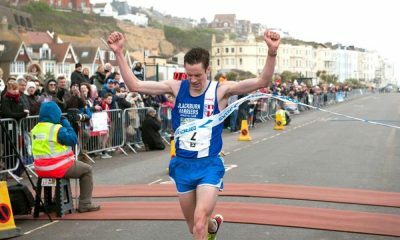 The Blackburn Harriers athlete reflects on his racing during September that included two half marathons and the Northern Road Relays. Training was nice and steady in September and it was also a busy spell of racing after a quiet end to the summer. On the 9th it was Lake Vyrnwy half in Wales, a very underrated half marathon that’s really well organised, run on a fast and scenic course. I stopped doing the Great North Run quite a few years ago and much prefer this one instead; it’s a proper runners race in my view. I was up against a familiar foe in Stuart Hawkes, who’s been steadily getting better each time we’ve crossed paths. 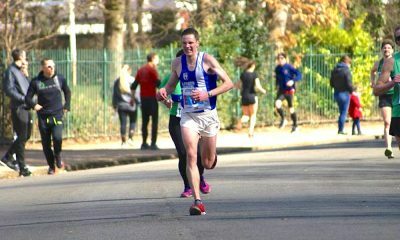 We had quite a close battle at Alderley Edge 10k in the summer and I knew it would be another tough one here. We were off at 1pm and immediately it was myself, Hawkes and Callum Rowlinson leading it out; I tried forcing the pace but was struggling to hit five-minute miling and it wasn’t enough to establish any sort of command in the race. 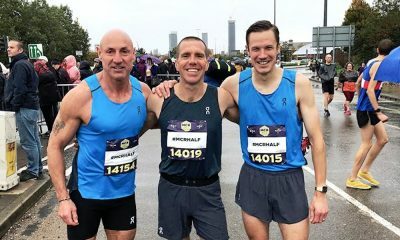 By six miles, it was still the three of us battling it out, though Rowlinson, who was running 10k PB pace, eventually dropped off shortly afterwards. I think 10 miles was reached in around 51:30, which was over a minute slower than what I reached last year, it also wasn’t enough to shake off Hawkes, who was starting to look the stronger out of us two. The race was decided in the final mile, which is mainly downhill. I was unable to match Hawkes’ speed and he went on to win by nearly 20 seconds in a fine 66:44, knocking nearly two minutes off his PB. I was slightly disappointed to fall on the wrong side of 67 minutes (67:03) in second. Rowlinson ran superbly and also knocked a huge chunk off his PB in third, just over a minute further back. The following week, I ran in the Reigate half marathon, near Gatwick, where I would represent the On-Running team. It turned out to be quite a dire performance from myself, right from the start I didn’t feel anywhere near as good as I did at Lake Vyrnwy. 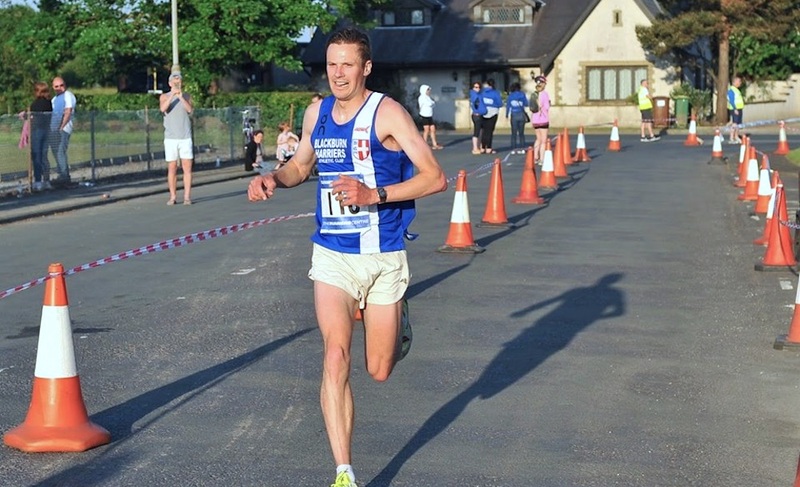 I was also up against an in-form Kevin Quinn, who was just too good for me on the day, I let him go at five miles and by the seventh mile Andy Coley-Maud went past. I managed to hang on a bit, but I was really struggling, ten miles was reached in 52:40. I lost ground on Andy in the last three miles and barely broke 70 mins in 69:38. Perhaps I’d just over-egged the training a bit that week, but I was still shocked at just how bad I was! I made sure I backed off a bit going into the Northern six-stage relays, as I didn’t want to let the club down with a crap run. Blackburn Harriers had a strong team for the Northern six-stage relays, perhaps missing a couple of runners, but compared to other clubs, we seemed to be close to full-strength. I know it’s had some criticism for being a bit dull, but I’ve grown to like the Sportcity venue in Manchester, I like the start and finish on the track and there’s good support out there on the course, which makes up for the monotony of it. Besides, we’re there to race, not enjoy the scenery! Tim Raynes got us off to a great start with 20:34 on the 6.8km leg, Rob Warner backed this up with a similar time of 20:38, keeping us in the mix. New recruit Mark Hartley put in a great shift on his leg 21:51, followed by Ben Costello in 21:47, who’s getting back to his best form. Chris Davies nabbed a place back right on the line with 21:42 before handing on to myself. I felt good going into this one and made up a couple of seconds to catch up with Sale’s Gavin Hill as we left the track. I tried to pull away, but it was clear this was going to be a battle all the way. We passed a few clubs, but they turned out to be ones that were already lapped, in the last section before finishing on the track, Hill made a move and I had to really dig deep to keep with him. I could also see a Hallamshire vest just ahead, but he responded and held on to his place, it was a dash to the line between myself and Gavin Hill, I wasn’t sure who managed to nick the position. Initially, Blackburn were given 12th, then we were given 11th. Either way, it was a tad frustrating to miss out on the top 10, but it just shows how strong the other teams are getting. My time was 19:50, which was 13th fastest of the event, not quite as well as I did last year, but considering my run at Reigate, it’s big progress. The womens’ team out-performed us with a fine result to finish ninth place, with the quartet of Carmen Byrne, Maddie Elliott, Victoria Mousley and Jess Judd, who also ran the fastest leg of the event by about 30 seconds! Next month will be busy again with racing, but I’m hoping to at least manage a season’s best (if not PB) at Manchester Half Marathon on the 14th October.